Spring is well under way, which means it’s high time to do some essential maintenance for your iOS hardware. Yes, we know that cleaning isn’t the most fun thing in the world, but these are all simple tasks, and really it’s the type of regular maintenance that every iPhone, iPad, and iPod touch user should develop into regular habits… but just in case you haven’t gotten there yet, we’re here to help. 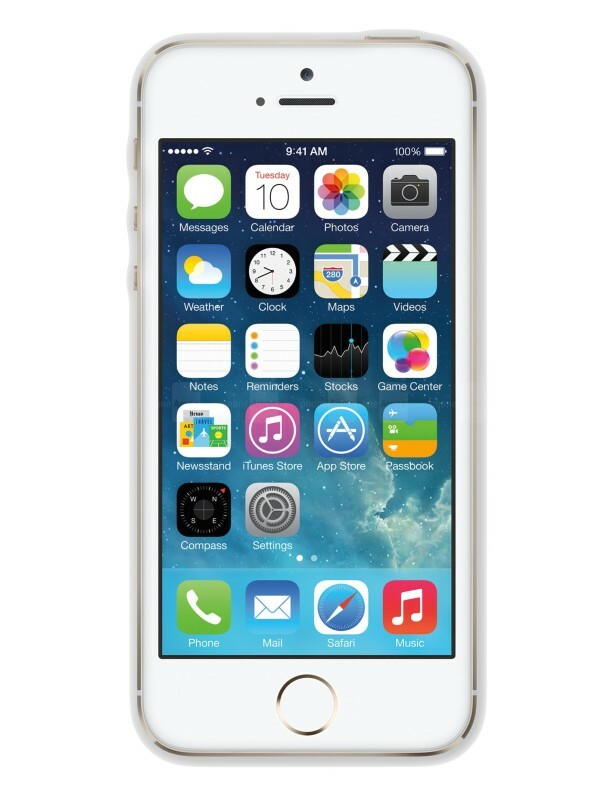 So get out that iPhone, iPad, iPod touch and follow along to keep things running smoothly. Let’s get going! All of us have some apps laying around we don’t use. Maybe it’s a time wasting game, maybe it’s some app your friend told you about that you never got around to trying, maybe it’s all the junk you downloaded in your first two weeks of iPhone ownership and the App Store felt like a candy store, or maybe that brokerage app to watch your 401k – how many times have you traded securities on your iPhone? 0? That’s what I thought. 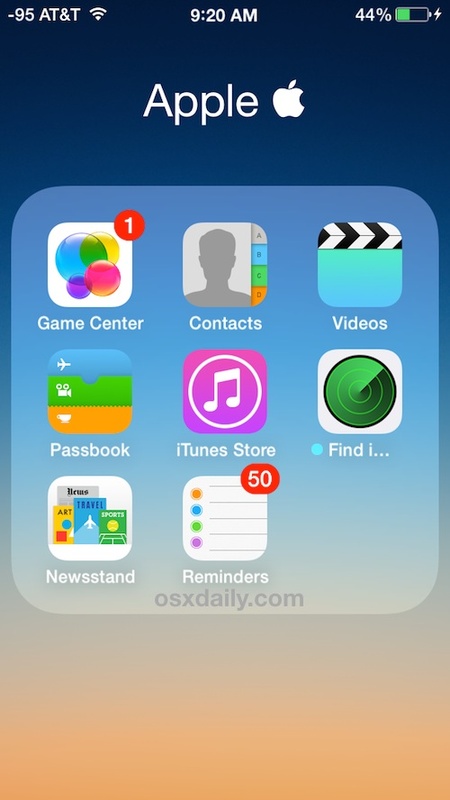 Delete all the unused apps! They’re taking up space and doing you no favors. 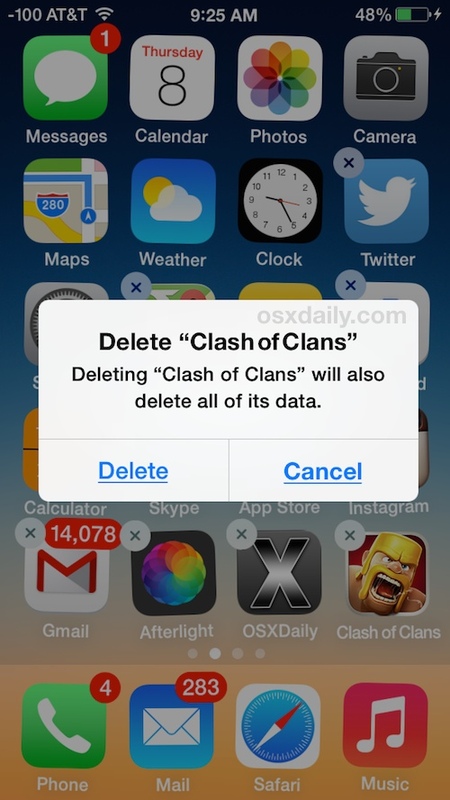 Don’t worry, you can always download them again later if you’re having Clash of Clans withdrawals. And I basically never visit this folder, ever. Putting the unused stuff here helps to clean up the Home Screen though, so it’s better than nothing. Getting into the habit of regularly backing up your iDevices is essential, but few people do it as often as they should. Backing up is essential for so many reasons, from easy recovery in case of a software update gone bad, a lost iPhone, an upgrade, whatever it is or whatever motivates you, just back up! What are you waiting for? You can backup iOS devices to iCloud or iTunes, or both. iCloud is super easy but it’s easily overloaded if you have more than one iPhone or iPad on the same Apple ID. iTunes basically allows for unlimited backups because it goes to your computer hard drive instead, which means even if you don’t have a huge hard drive, you can copy those backup files to another location like an external drive to save some disk space and access them later. You see where I’m going with this… there is no excuse not to make regular backups. And here’s to hoping that Apple becomes a bit more generous with iCloud storage so that it becomes a more reliable backup solution for everyone, fingers crossed! Back up the device first, but you already did this, right? Easy, and it’s generally completed in a few minutes. I’m always surprised how few regular people regularly update iOS. Sure, us geeks are updating the moment a new version arrives, but the average person doesn’t notice and probably doesn’t care either, often lingering around several releases behind the latest version of iOS available, missing out on important fixes and handy features. Update! 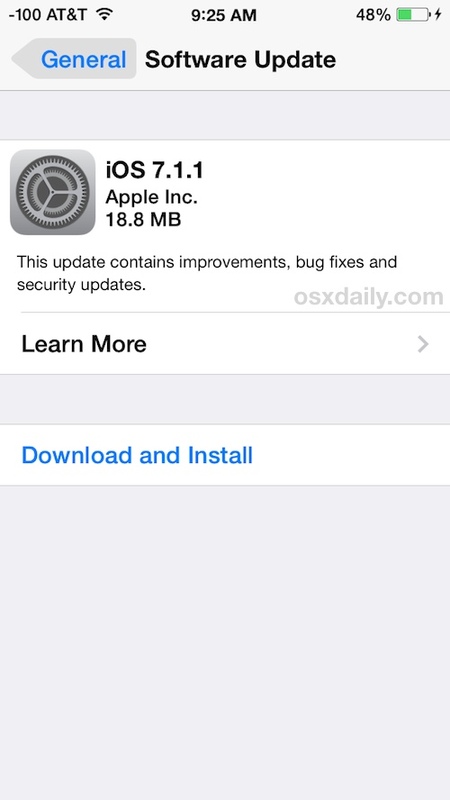 Speaking of updating software… your apps also need to get updated. Do this after you’ve cleaned out and deleted the junk apps you no longer use so you don’t waste your bandwidth or time. If you’re bad at remembering to update your iOS apps, you can rely on Automatic Update to do it for you. Super easy, and it’s entirely automated and goes on behind the scenes, insuring your apps are always at their latest version. I like this feature a lot, particularly for novice and/or lazy users, but just remember that it can waste battery, so many users turn it off to keep their devices lasting longer without being charged up. 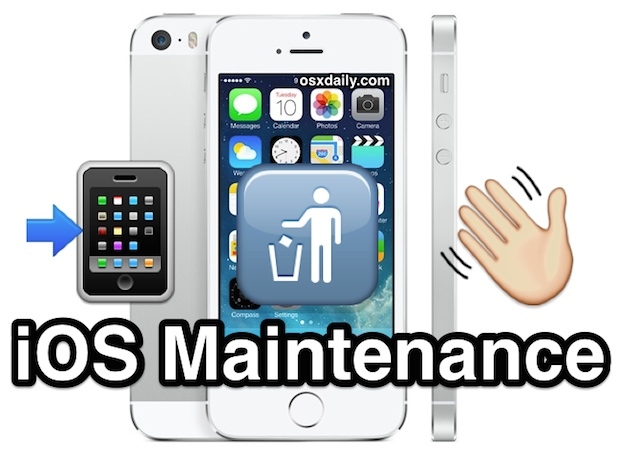 Got any iOS maintenance tips or Spring Cleaning advice for the iPhone, iPad, and iPod touch? Let us know in the comments! Definitely check Notifications – even after installing an app that request to turn on notifications – and you quite specifically select ‘NO’, it will still be in your notification center, on. I show people this and they are quite surprised – Apple should do something to enforce this better. Is there any way to get rid of the Apple apps? I never use them. My Mail app collects my emails even though I’d like it not to. Can I at least turn it off? Yes, you have to go to Settings => Mail, Contacts, and Calendars => the specific account you want to maintain. If your account is say Yahoo, Gmail, iCloud, Exchange, or some other non-Pop account you can just turn off those account features you don’t want. I don’t want my contacts to sync with Yahoo or Gmail, so those are off. My Exchange account gets everything. iCloud gets only calendars. You can also change how email is received by changing the “Fetch New Data” sub section. POP accounts are set to “Fetch”, while Exchange is set to “Push”, while the rest are set to “Manual”. Did you Option-Shift-K that  into your folder name via iTunes sync? Yes that works, but you can also copy the Apple logo  from the web or elsewhere and paste the character directly into a folder name. any way to get rid of an offered upgrade you definitely DON’T want (the new tunein rado, for instance) or must it sit there on your upgrade page just waiting for you to hit the wrong button? Unfortunately there is no way to ignore app updates in iOS, but in OS X you can ignore them from the App Store. Hopefully that changes in iOS 8! My i4 apple phone is showing only light on the screen , every thing else is missing. switch off button is also not functioning. how to fix it ? This is one of the greatest posts i’ve ever seen, what a great set of tips are these for maintenance and to use your iPhone. Thanks so much!